1.Welcome to Xindanwei.com, and we are honored to have you as our very first chair member! Please introduce yourself. Could you tell us where you’re from and how you got started of your own business? Hello, thanks for giving me this opportunity! I am a digital product manager from France and settled in Shanghai a few years ago. I studied interactive design and development in art school, then marketing and partying in business school. I used to be a web developer, turned to web producer after, then got into marketing and sales, and now I am kinda doing all of these at the same time. Currently, I am working with Magency on iPad apps that are used during corporate events, such as press launch, internal seminar, training sessions or exhibitions. I enjoy these kind of projects as they force you to think about the user experience differently than with a software on a traditional computer interface. Besides my work in digital, I help set up a small Chinese home-cooking classes business with my partner Helen as well. It’s fun to do something non-tech on the side. When I have time, I contribute to Techyizu events such as a the recent Designing Shanghai, and I am also part of French youth chamber of commerce (JCEFS ), which incubated many great social and community projects, such as Forget-Me-Not, a social team-building business. 2. Ahh, the projects sounds very interesting. Could you enlighten us more and elaborate a bit on your approach to realize your applications/projects. Recently for example I had the opportunity to work on a corporate seminar for Airbus with 500 participants. Each of them were given an iPad for the day. All these devices were connected together and used throughout the day – for networking, as a tool for team building activities, during the presentation for live Q&A… participants could even order coffee through a button in the interface. As mobile devices such as iPad tablets are now becoming a commodity, they can be used for many things: replace printed brochures at a product launch event, match like-minded people at a seminar or convention with social network features, make presentations more interactive, team-building activities… It’s only the tip of the iceberg, I hope to dig more into this kind of projects and use technologies such as NFC or Arduino/electronics to add other dimensions to these installations. 3. Why you choose to start up your business in Xindanwei? It has an inspiring environment, great location and is a good place to meet interesting people. 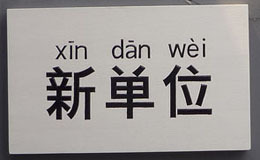 I am looking forward the opening of the 2 other xindanwei workspaces soon, more choice of places to work ! 4. Regarding the idea of your projects is quite innovative, what do you tell clients who are unsure of what they want? I will ask their budget first I would use past works as a base for discussion then learn more about user needs to provide a specific solution. 5. 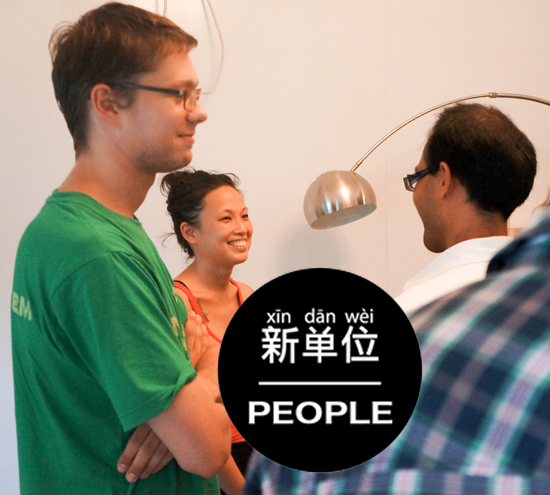 As a foreigner, how can you find local programmers or application developers in Shanghai? In other words, what kind of event/networking/website you’d like to recommend to Xindanwei community? Good developers is a scare resource worldwide, though there are a some great development consultancies in Shanghai – for example I would definitely recommend my ex-employer Ekohe. Also, if I need specific skills, I would ask for introductions from my friends at Techyizu – which is a volunteer-driven community of great people organizing inspiring events such as the next one Lean Startup Machine in end of June. Don’t work too hard and be humble – there is or will anyway always someone better than you on earth at whatever you do.